Jacksonville University is seeking an Assistant or Associate Professor of Biology and Marine Science for a tenure-track beginning August 2018, with an emphasis in physical oceanography. 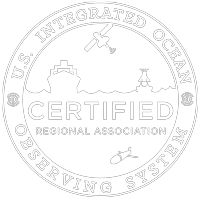 Must be qualified to teach introductory and advanced oceanography classes, with interest in working with sharks and other migratory animals, remote sensing, modeling, and/or GIS at both undergraduate and master’s degree level. The position will begin August 2018 and some relocation funds will be available. Active grant-funded research involving undergraduates and masters students is expected, including collaboration with OCEARCH Global Shark Tracker. A PhD (completed by August 15, 2018) with relevant coursework is required and previous teaching experience is preferred. Position is contingent upon funding source and budget approval. Screening will begin immediately and continue until the position is filled.